President Maithripala Sirisena has been appointed as the Chairman of the Sri Lanka Freedom Party, after former President Mahinda Rajapaksa today agreed to handover the party’s leadership to his successor. 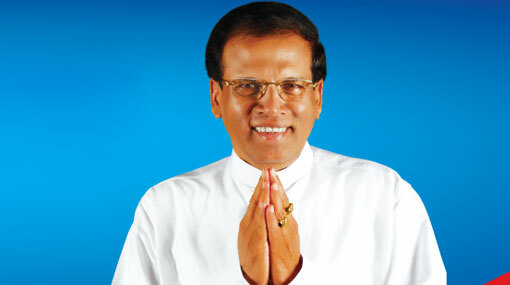 The Central Committee of the SLFP unanimously decided to appoint President Sirisena as its leader at a meeting held at the Foundation Institute today. Former Presidents Mahinda Rajapaksa and Chandrika Bandaranaike Kumaratunga have been appointed as patrons of the SLFP. Rajapaksa earlier today announced that he will be handing over the leadership of the Sri Lanka Freedom Party (SLFP) to President Maithripala Sirisena with effect from today, bowing to the demand of party members after his shock election defeat. Sirisena was the general secretary of the SLFP but was expelled from the party by Rajapaksa ahead of polls as he broke away from the then ruling alliance in November to become the challenger in the polls. Meanwhile Minister Lakshman Kiriella has been appointed as Leader of the House while Minister Gayantha Karunathilake has been named as Chief Government Whip.